Creation Justice Ministries has created a fact sheet on the ethics of energy and coal leasing on public lands. It offers facts on decisions that have been made in coal leasing and what faith groups are doing. To read this fact sheet, click here. 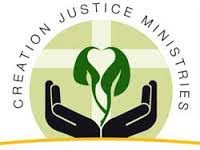 Faith Principles on Climate Change is a document from Creation Justice Ministries explaining how faith plays a part in sustainability, stewardship, justice, and sufficiency. It describes goals for each category and legislative steps to reach these goals. To read this document, click here. 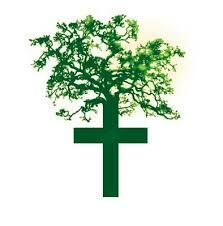 Creation Justice Ministries has a climate change campaign called Climate Change and Communities of Color. It offers resources available to download and learn more about the impacts climate change is having on African American communities. To read more or download these resources, click here. The Evangelical Environmental Network Moms is a new resource from EEN. It is specifically for busy moms and is meant to offer easy, downloadable bible studies. The first resource being offered is “Healthy Creation= Healthy Children” and can be downloaded now. To learn more or download it, click here. The National Association of Evangelicals Released a 56 page document on how environmental changes are affecting the most vulnerable. It explores the way the environment is changing, how it affects the poor, and how to move forward. To download and read this paper, click here. St. John the Apostle Catholic Church in Iowa has recently installed 206 solar panels to convert the sun’s energy for lights, the public address system, and their air conditioning. The church is the first in the Catholic Diocese of Des Moines to complete a large scale solar energy initiative. Inspired by Pope Francis, they are continuing to look for more ways to conserve energy and transition to renewable forms of energy. To read the entire article, click here. In continuation of their Creation Care Sermon Starters and Devotional Series, the Evangelical Environmental Network released a sermon starter for the month of August. It is called Tending to the Garden and focuses on being outside and connected to nature and gardening. To read or download this resource, click here. The Evangelical Environmental Network has created a new resource for assistance in ecological sermons. It is called Restoration is Coming and offers sermon starters related to creation care focusing on ecological restoration. To read or download this resource, click here. In 2014/2015, St. Ignatius parish began exploring how God is calling for justice in all communities. They began working on ecological justice by forming the Ecojustice Steering Committee to collect ideas, organize, prioritize, and to plan events. They have had many successful ideas and events such as asking their members to bring their own coffee cups and keep them in their pew in order to stop using styrofoam cups in their congregation. To read more on their success and work, click here.